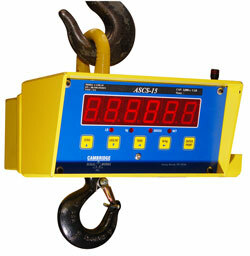 All Steel Crane Scales Small Capacity: 2,000 lbs. – 50,000 lbs. 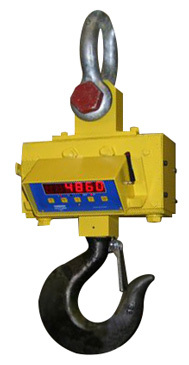 • Anywhere an overhead crane is used and a weight reading is desired of the material(s) lifted. • Capacities: 5,000 lbs to 70,000 lbs. (a) Desk Mount Receiver with Display and RS232 port for computer/scoreboard/ printer interface.